As I walk the labyrinth and look at this image of Mary honoring Christ, Ruler Over All, I am grateful to have an older sister whose example of directing others to God inspires me. May I follow more closely in her footsteps. Mary with those rising from the dead at the end of time. The Vendôme Chapel stained glass window (1415) in the Chartres Cathedral. This window was given by the Count of Vendôme, Louis of Bourbon as part of fulfilling a promise to Mary when he was a political prisoner. He vowed, that if set free, he would build a chapel. 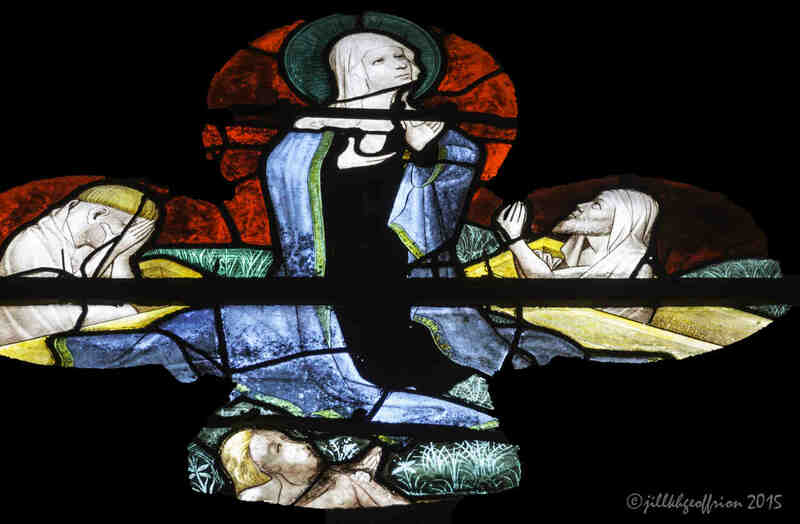 Three depictions of Mary are found in this window. This image is to the south and east of the labyrinth. The scene is found in the window that is slightly to the right of the wooden pulpit in these images. Mary’s coronation. 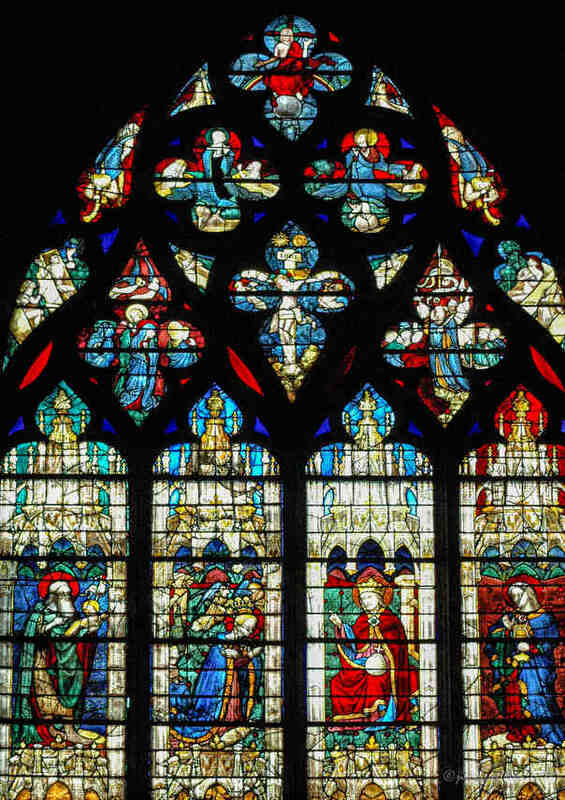 The Vendôme Chapel window (1415) in the south aisle. Mary with other mourners near the cross of Jesus. The Vendôme Chapel window.